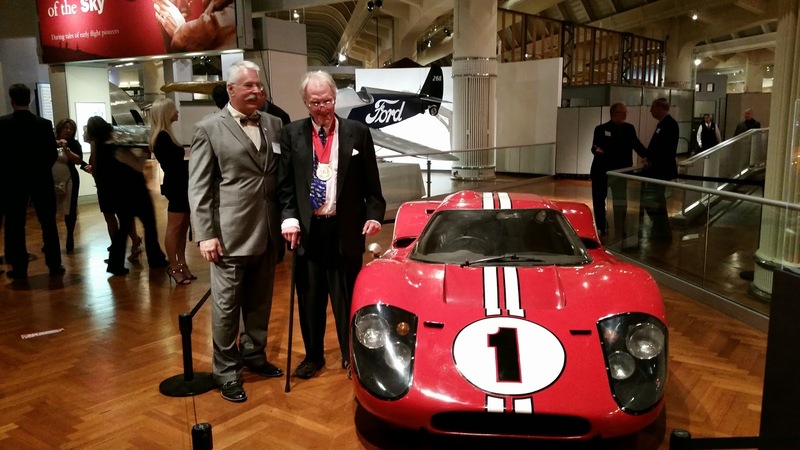 DEARBORN MICHIGAN - Congratulations to Burns Stainless Customer Dan Gurney who recently received the Edison-Ford medal by the Henry Ford Museum. We are excited that a legend in our beloved field of motorsports has won this lifetime achievement award that has only been awarded once before. Dan is pictured here with Steve Kilgore, project manager for the restoration of the famous 1967 Le Mans winning GT40. 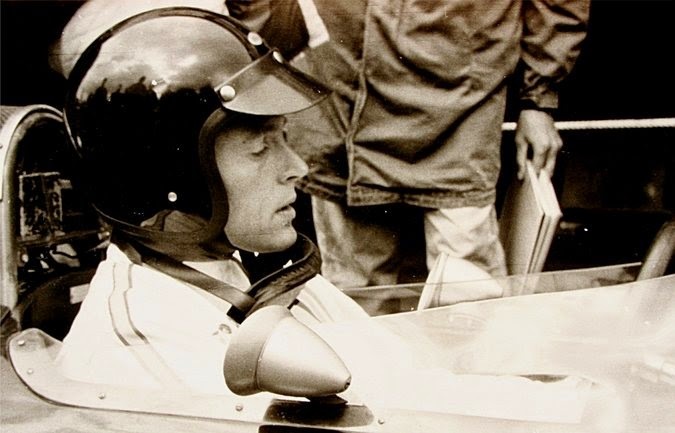 Dan Gurney, whose considerable achievements as a racing driver were the prelude to a career as one of the more influential forces in motorsports, will be presented with the Edison-Ford Medal by the Henry Ford museum. 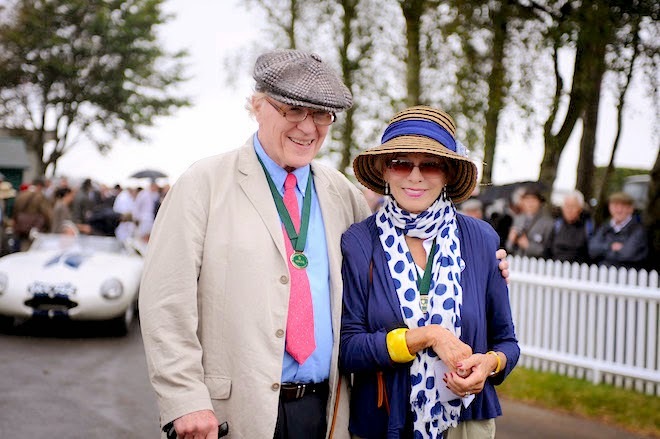 The award, established by the museum in 1989, recognizes individuals who “fully leverage the creative, innovative and entrepreneurial spirit that resides in every one of us.” Gurney, 83, is only the second person to receive the medal. The first was W. Edwards Deming, the champion of statistical process control and the person widely credited for Japan’s industrial renaissance in the decade starting in 1950. 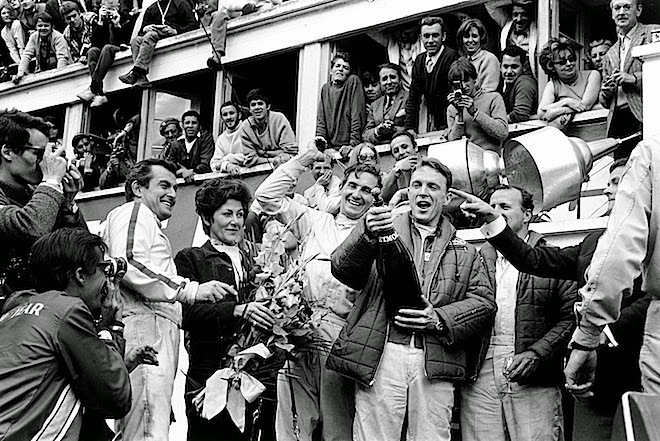 Gurney’s driving record included wins in 1950s British sports cars and Ford prototypes in the 24 Hours of Le Mans. 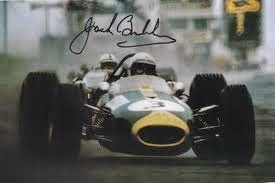 He is the only American to win a World Championship Formula One race — the 1967 Belgian Grand Prix — in a car designed and built by his own company, All American Racers. 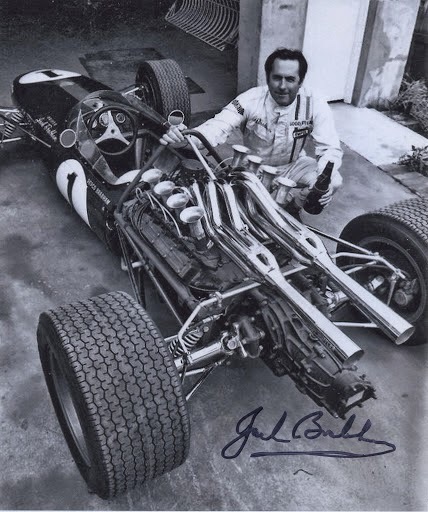 He was responsible for bringing Ford Motor together with the designer of Lotus cars, Colin Chapman, a move that changed the face of the Indianapolis 500 when Chapman’s rear-engine entries dominated the event. 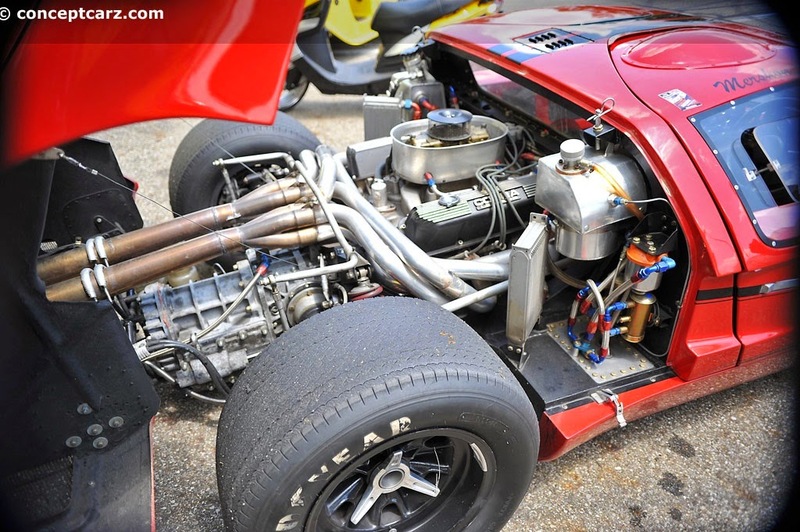 Gurney retired from driving in 1970 to devote all of his time to All American Racers, which is in Santa Ana, Calif.
His rapid rise through the ranks of Southern California amateur events made Gurney well known to American racing fans, and he went to Europe in 1958. 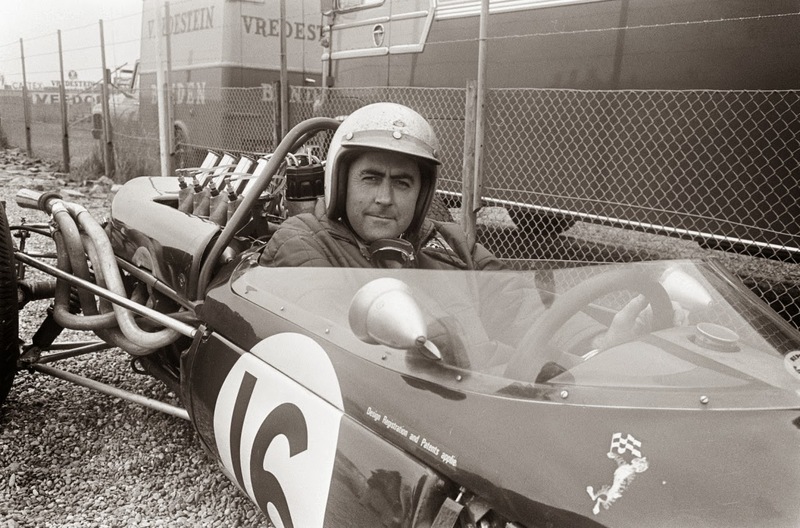 By 1959 he was a driver for the Ferrari factory and also drove for Porsche, BRM, Maserati and for Carroll Shelby’s Cobra and Ford GT teams. The All American Racers website shows that Gurney’s career included 312 starts and 51 victories. He had seven Formula One wins (four in World Championship events) and five wins in six starts with Nascar stock cars. In addition to building cars, Gurney’s team designed, constructed and marketed the Alligator motorcycle. Gurney’s company designed and built 158 Eagle single-seaters, all bearing a family resemblance to his Formula One machine. The Eagles built for Indianapolis were so successful that in 1979 a total of 21 of the 33 starters at the 500 were built by All American Racers. Gurney’s team also handled Toyota’s American racing interests for several years, winning three championships. The award ceremony will be held at the Henry Ford museum in Dearborn, Mich., on Oct. 29. 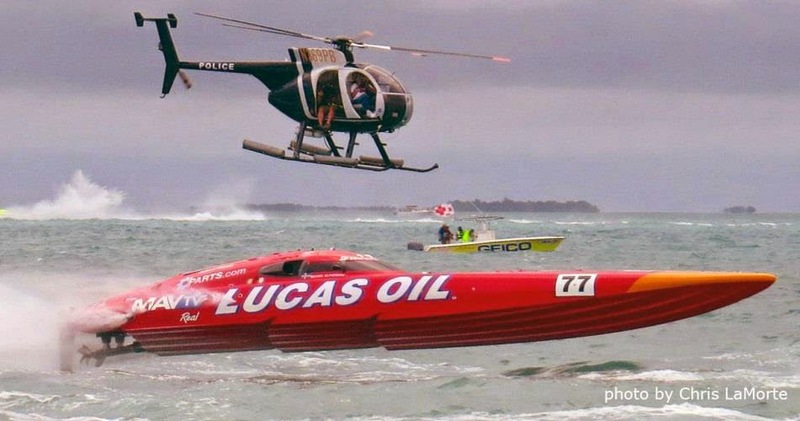 "Heading into this 34th Annual Superboat World Championships in Key West, people were saying we didn't stand a chance" Hook said "but we knew we did, we just needed something other than the flat water seen all season!" 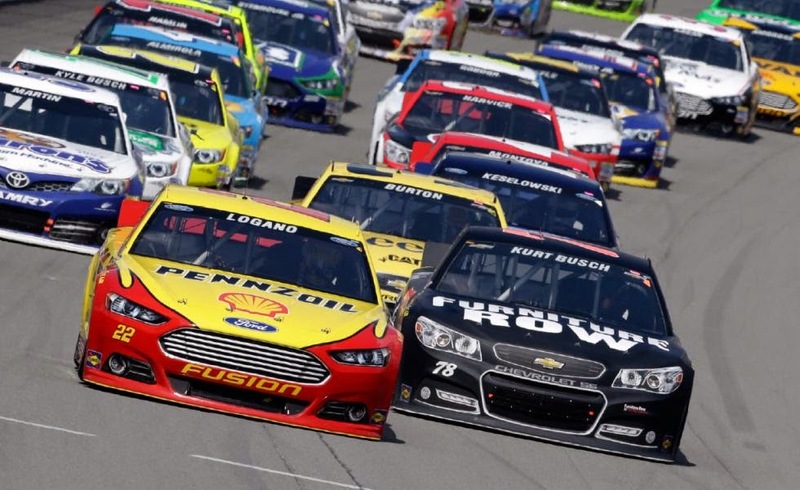 It was an important weekend of racing with the nail-biting conclusion of the thrilling NASCAR Sprint Cup Chase, and with the NHRA Pro-Stock championship decided in the final round of the World Finals in Pomona. 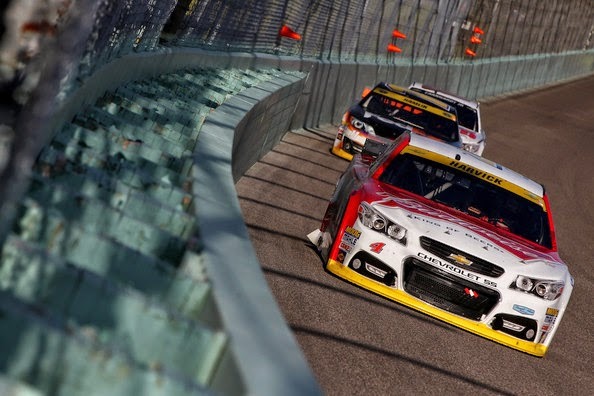 The race at Homestead saw 4 drivers still contending for the Sprint Cup title. 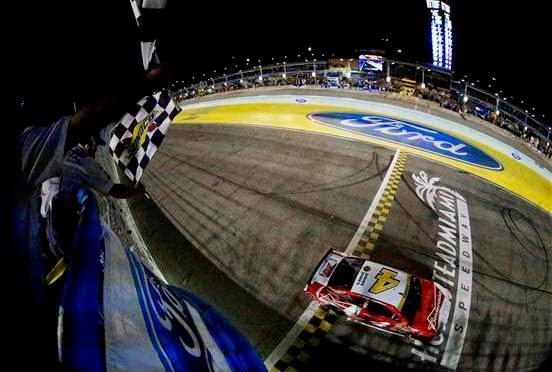 In the final analysis, Kevin Harvick finished on top with an amazing pass of Ryan Newman following the 13th restart with only three laps to go. Harvick on 4 fresh tires and Newman on only two gave it all on those three laps leaving the rest of the field in the dust. 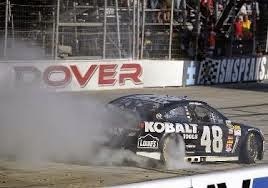 In the end, Harvick had the faster car when he needed it most. The strategic call that likely won the race for Harvick came with 20 laps to go during a caution period for debris on the track. Harvick and Newman chose to come in and take on tires, Harvick for four and Newman for two. Chase contender Denny Hamlin instead chose to stay out and gain field position. With 15 laps to go, Hamlin outgunned Jeff Gordon on another restart, but Kevin Harvick and Ryan Newman were coming on strong from behind. On the second to the last restart with 9 laps to go, Hamlin succumbed to the quicker car of Kevin Harvick. Then, on the final restart, with only three laps to go, Harvick made the race winning move as he out accelerated the field. Newman tried his best to stay on Harvick taking the inside line, but the 4 fresh tires on Harvick’s car made him unbeatable as he crossed the finish line as Sprint Car Champion – his career first. For Harvick, it has been a long road to hoe. Tasked with the impossible, Harvick replaced the late Dale Earnhardt Sr at RCR, but after 13 years, the talented driver could not pull a championship title. Following a turbulent year at Childress, Harvick chose to drive for Tony Stewart in 2013. Harvick had some nicr things to say about the NASCAR Chase format. "I forgot we won the race, how about that?" 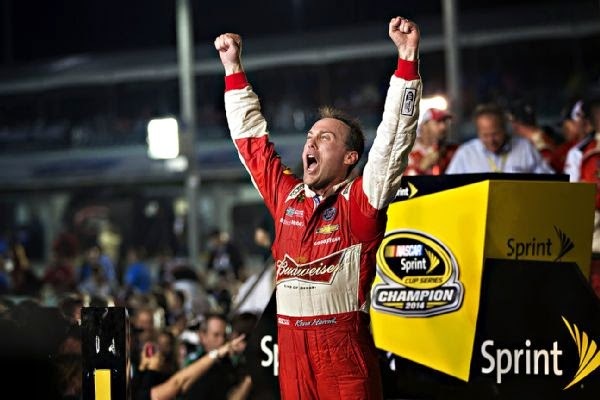 Harvick said after his emotional victory. 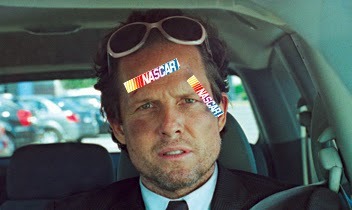 "I think this Chase is about the best thing that has happened to this sport over the last decade. This is probably going to shorten the drivers' careers because it's been so stressful but I want to thank every single fan for sticking with this sport, and to the industry for working to get it right. You guys are what makes us go around, and we love racing hard for you." And as for how he withstood the pressure, "This week ate me up," said Harvick. 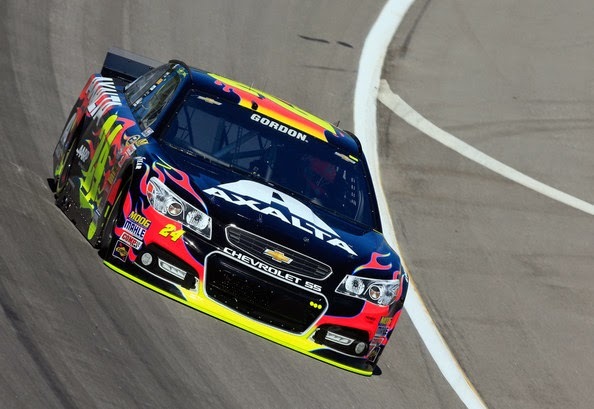 "If it wasn't for Jimmie Johnson and Tony Stewart, I would have been in bad trouble this week. Those guys really helped me get through the week." 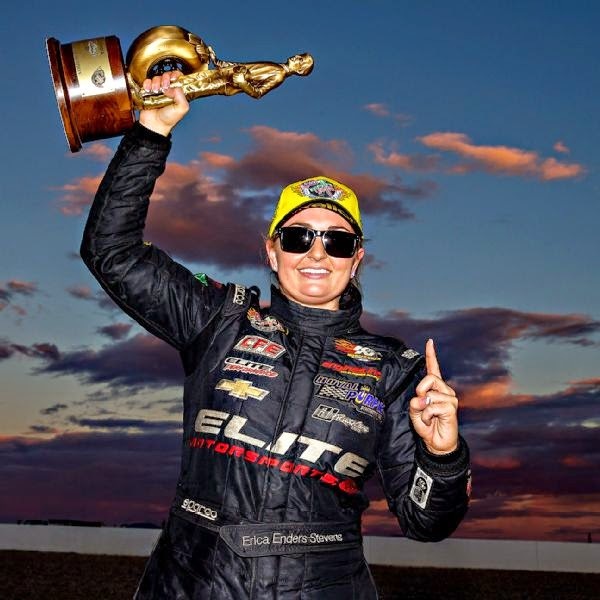 In NHRA, history was made as Erica Enders-Steven became the first woman in NHRA history to win the Pro-Stock world championship title on Sunday. 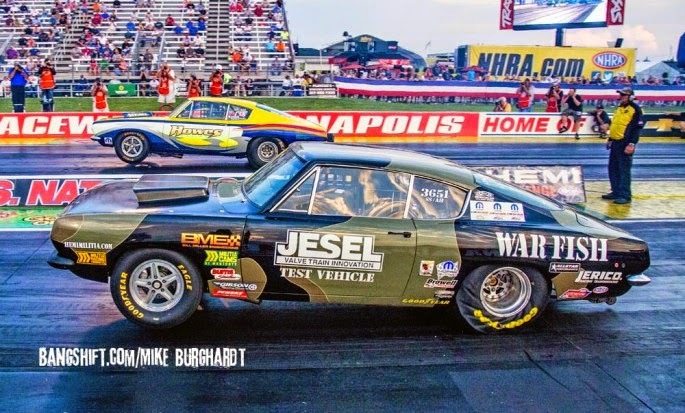 Though Erica had a fabulous season with 6 wins and on top of the point standings for most of the year, it came down to the final round of eliminations as she faced her closest point competitor, Jason Line. Line and Enders-Stevens have each won 12 times against the other in prior events and Enders-Stevens is 2 - 1 against Line in prior final rounds. Line is too quick on the tree and turn on the red light, as does Erica. Since Line fouled first, Erica was crowned champion. 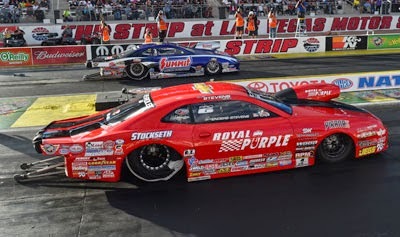 But just to show that it was not just a stroke of luck, Enders-Stevens ran the quickest pass of the weekend for the Pro Stock Championship...this is her sixth National event win and here 12th career. She is the first woman to win the Pro Stock Championship. On a side note, Jack Burns texted Nick Ferry Saturday night an encouraging note “to wait upon the Lord.” Well, Erica apparently heeded the advice! 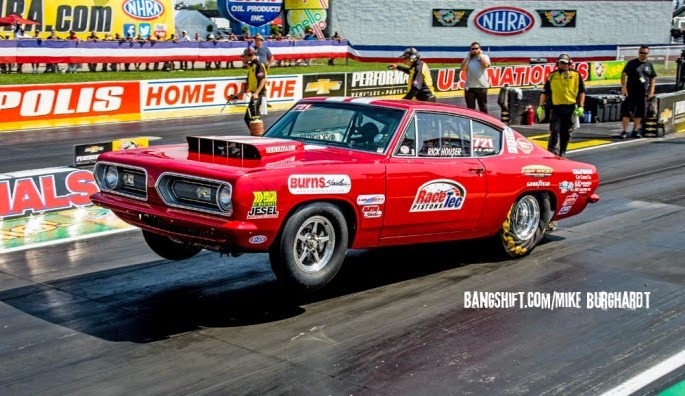 In another heart-warming story, Bobby DeArmond won his Stock Eliminator race in the final round against Paula Cotton as Paula also red-lighted. DeArmond went on to run a 10.128 second pass in his A/SA ’69 Camaro. What makes this win special is that this is Bobby’s first race since his son was tragically killed a year ago. Our heart-felt sympathy is extended to the DeArmond family. 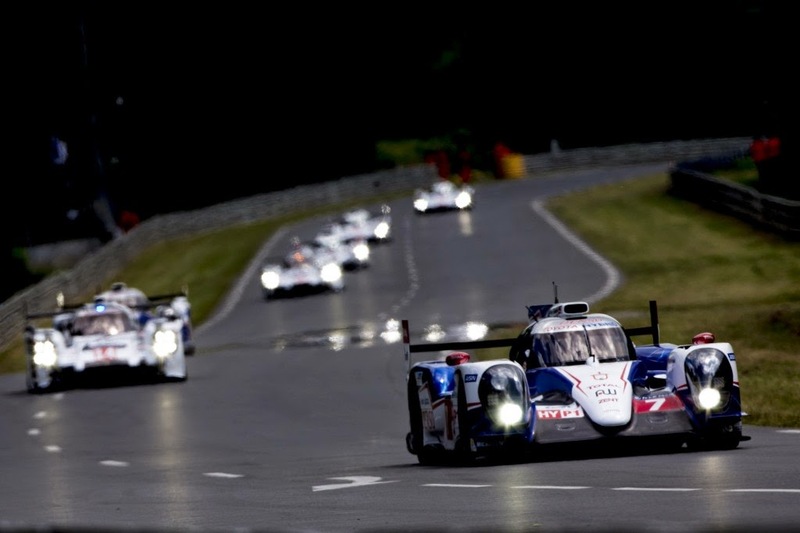 It was quite a memorable 24 Hours at Le Mans. All three podium finishers had major mechanical failures or accidents during the grueling race. From the start, the race was full of surprises. With only a 20% chance of rain, a downpour hit only 90 minutes into the race causing a melee on the track. The #3 Audi was lost in an accident and the very fast #8 Toyota of Davidson/Lapierre/Buemi had a serious wreck, but the pit crew was able to get it back out on the track and racing. Midway through the race, the #7 Toyota was running extremely fast and had a nearly a one lap lead, but it just would not be for the Japanese entrant. Shortly after the 12 hour point, a wiring loom problem retired the Toyota. 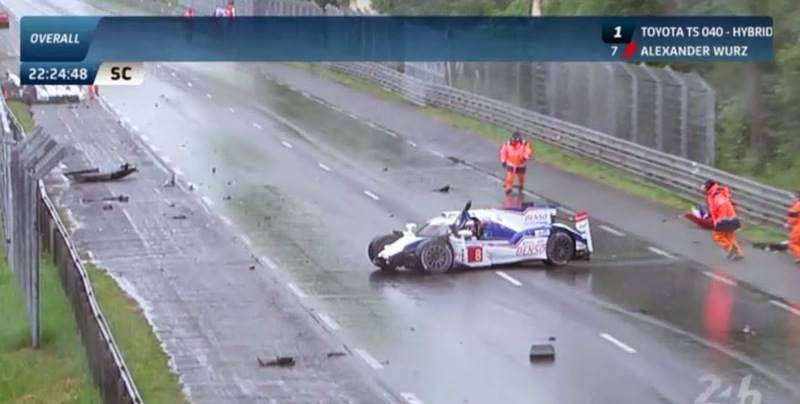 "It tears my heart out...I don't know what to say," was all that driver Kazuki Nakajima could muster. 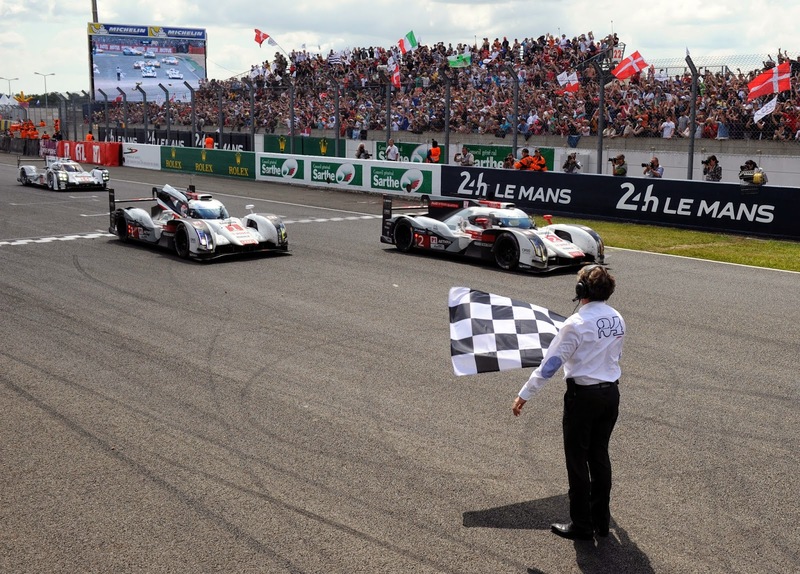 It then appeared again to be the year of Audi – possibly it’s 13th victory in the last 15 races. The mighty R-18 e-trons were clicking off the laps in stoic Germanic style. But at around 6:00 am, the No. 2 Audi was in first place and experienced turbo problems, conceding the lead to the #1 Audi. 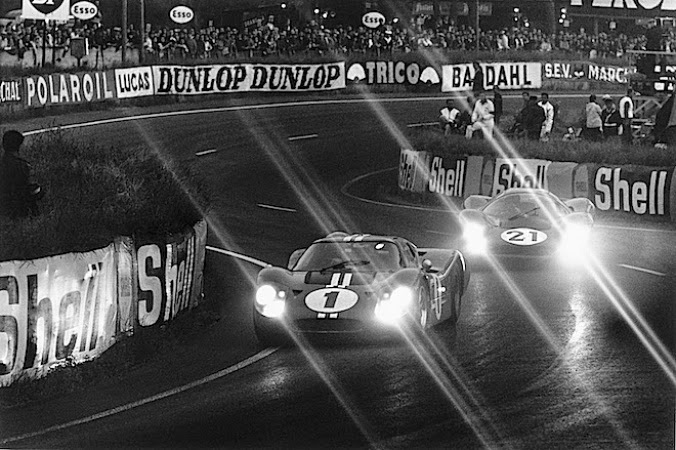 Then, at around 11:00 am, the #1 came to a complete stop on the Mulsanne. It moved again again, then slowed again. The Audi went into the pits. It was turbo problems again. 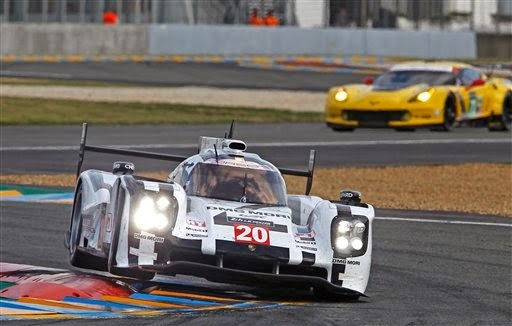 Could it be the the Porsche 919s on their debut race could take the overall win? They certainly looked strong in qualifying, but we all know what the grueling sieve of the 24Heures du Mans can do to a nw car. 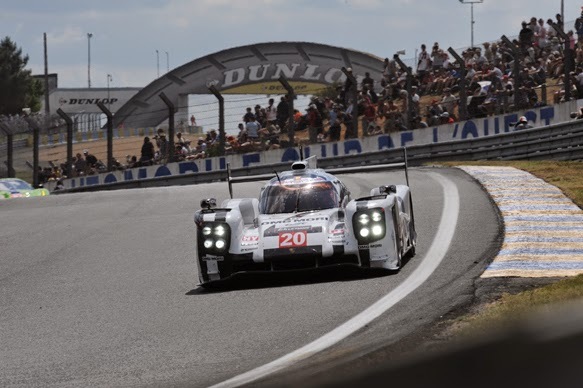 The #20 LMP1 car was three laps down when the Audi went to the pits and now it held the overall lead. With only two hours remaining could Timo Bernhard hold on? On lap 339, the Porsche headed for the pits with what was reported a slow puncture. 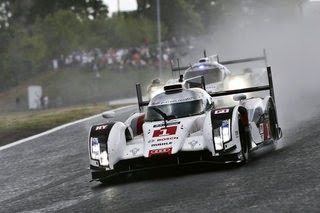 The #2 Audi then claimed the lead with Lotterer at the helm. He pitted for fuel only on lap 343 in order to widen the lead before handing off to Webber who brought it home for the win. The #1 Audi finished 2nd and the #7 Toyota a distant 3rd. 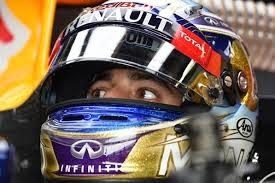 The slow start for Johnson stemmed from the inability of the team to get their new, sixth-gen car ready due to Johnson’s off-season surgery and cancelled test sessions due to weather. 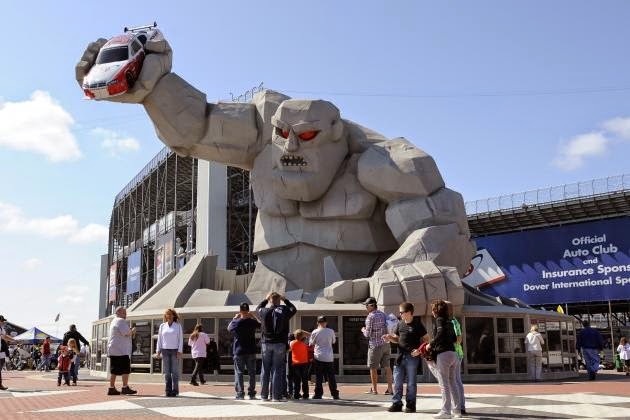 But based on the car’s debut at Dover, the team sure didn’t cut any corners in its development. "We're getting closer," Johnson said. 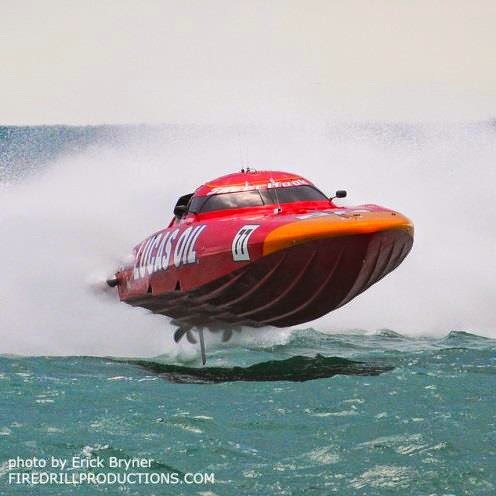 "We brought out a new-generation car that Chad just had a lot of faith in, put a lot of time and effort into. 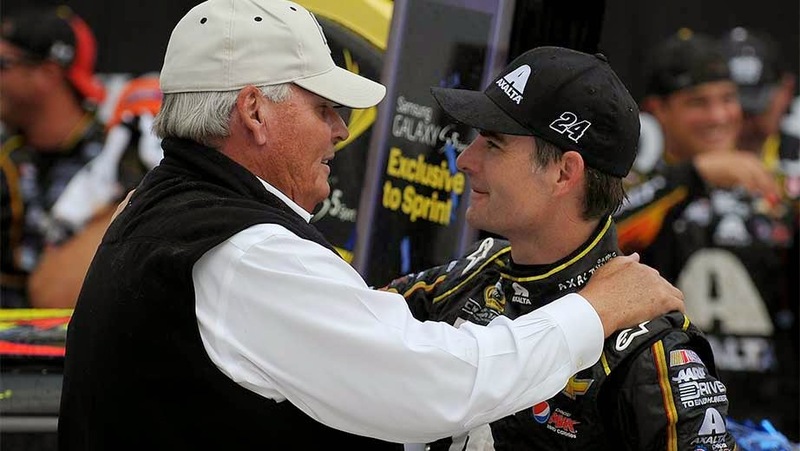 He told me I'd love the car, and sure enough, we unloaded and got on the track and it was right." Kyle Busch set the pace from the front row leading 81 laps, but a mishap with Clint Bowyer on lap 124 put his Toyota into the wall dashing any chances for a victory. Then only 10 laps later, AJ Allmendinger caused a multi-car wreck bringing out the red flag. He also ended the day for teammates Greg Biffle and Ricky Stenhouse. Then, the most bizarre incident of the day occurred on lap 158 when part of turn 2 flew up and smacked Jamie McMurray’s car sending him into the wall. 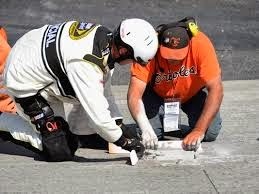 Two laps later, the officials brought out the red flag again in order to allow workers time to patch the hole in the track. "When I came off of the corner, it just felt like I hit something obviously heavy," McMurray said after the race. 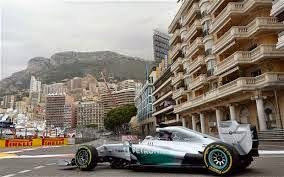 "Initially I thought I had blown a tire out, because when I hit (the concrete) it pushed the car out to the right. 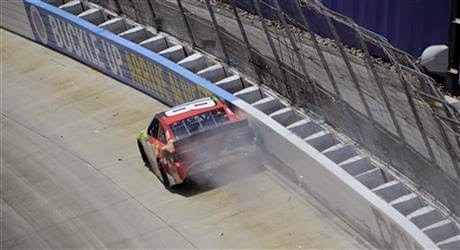 I got into the fence a little bit, and as I slowed down I couldn't figure out, first off, why I didn't hit the wall harder, and then what happened. "I didn't see anything," he added. "It just hit the front end, ripped the splitter off and pushed the car to the right." 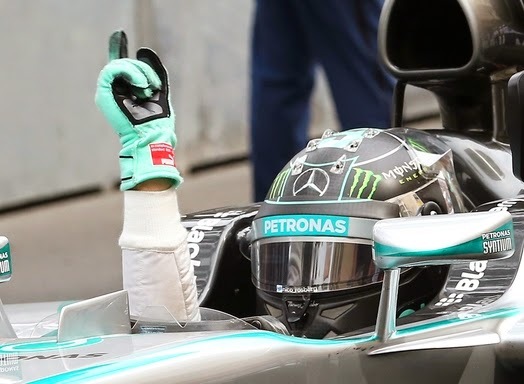 But, lucky for the fans, Dieter Zetsche, the chairman of Mercedes parent Daimler, agreed that Hamilton and Rosberg should be free to wage their battles, even though imposing ‘team orders’ would mean less ‘grey hairs’ for the management. “This is exactly what the viewers want to see,” he said. “The worst thing would be nice team orders with one behind the other. 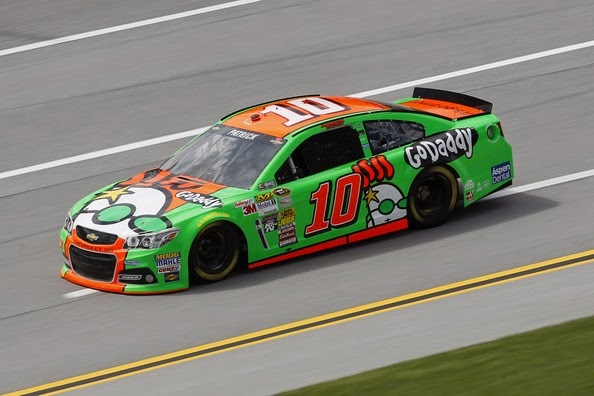 TALLADEGA, AL – If you thought the short-track race last week was mayhem, ‘dega lived up to her reputation of being super-mayhem! 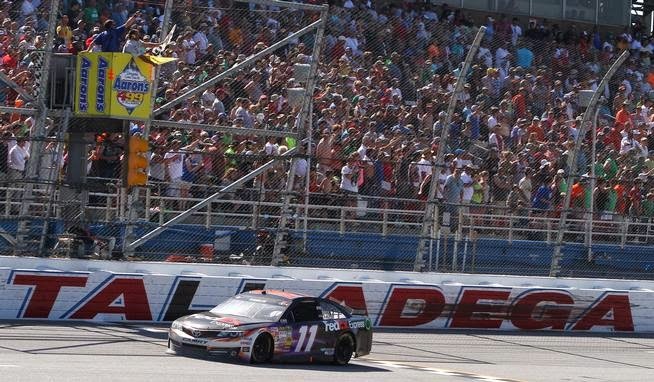 The race was won by Denny Hamlin who happened to be at the right place at the right time. On the last lap of the race, Hamlin’s Gibbs-Toyota car was out in front when a back-marker crash brought out the caution which fixed the field. Greg Biffle was able to claim second for Roush-Fenway and Clint Bowyer third. 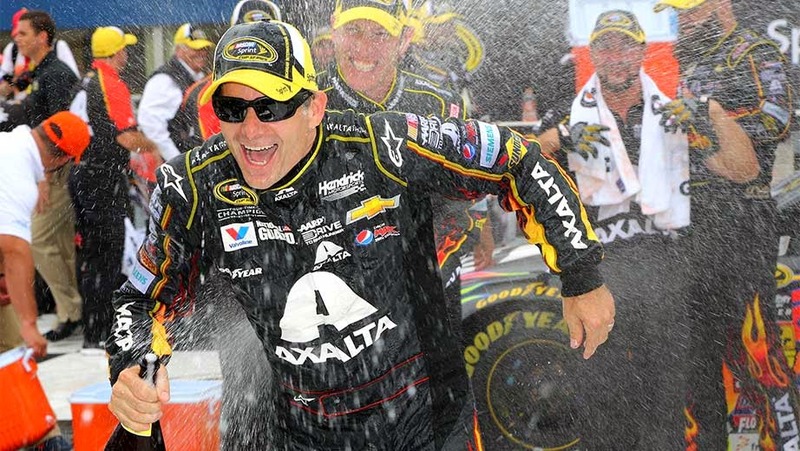 "It feels good to be back in Victory Lane in a points-paying event," said Bowyer, "but I'm still a short-track guy. 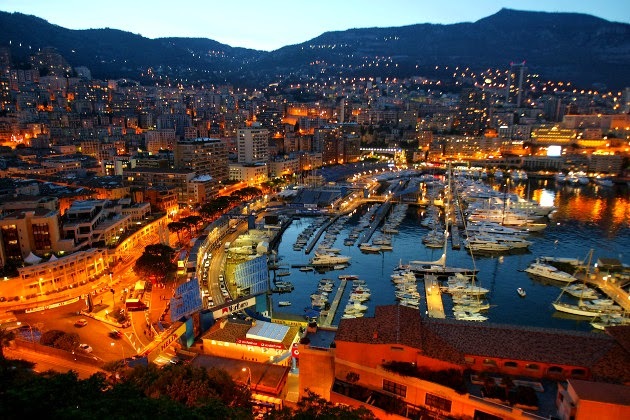 Those are my roots, that's where I love racing the most, but we've come a long way. We couldn't finish 22nd at superspeedway races for the longest time and now it seems like when we go we've got the knowledge and car that can win." And the mayhem continued on lap 174 when Jimmie Johnson’s car broke loose in turn 4 taking out 7 including Kurt Busch, Joey Logano and David Ragan. 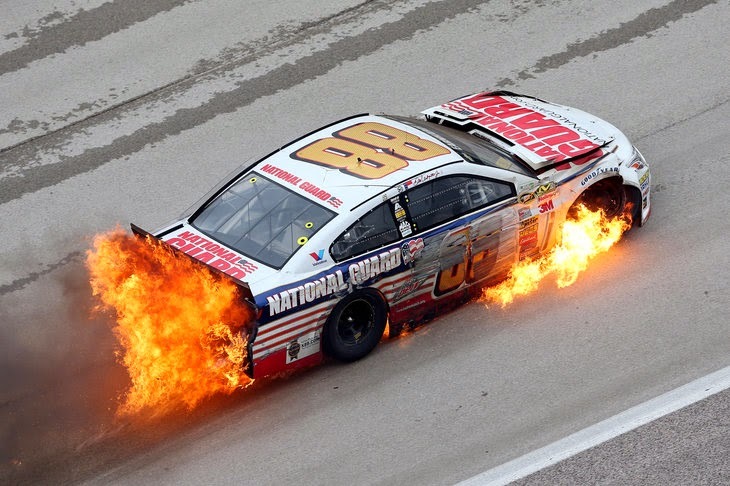 On lap 183, Carl Edwards lost a rear tire ending the day for Newman and Cole Whitt. DW summarized it best “I had a great time. I always have fun at Talladega. As I said on the broadcast, the whole day was just as clear as mud to me. I could see right through it all day long. I'm just kidding. I just threw that out there during the broadcast. It's a saying from way back in the day when you couldn’t understand something because the explanation was so convoluted they used to say, ‘Clear? 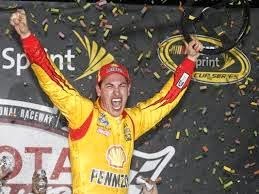 Or clear as mud?’"
Joey Logano seemed to be able to stay out of trouble the best and was awarded a hard fought win with Jeff Gordon and Kyle Busch taking 2nd and 3rd. Following a late caution period for JJ Yeley’s engine failure, the restart with only seven laps to go resulted in a four way fight between Kenseth, Keselowski, Gordon, and Logano. Kenseth was on top at the restart with Keselowski hard on his tail. Keselowski was running fast at the top of the track, but Kenseth was no way going to let him by, putting some blocking moves on the Ford. 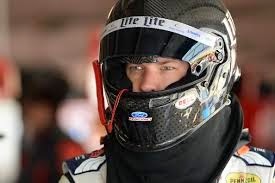 Keselowski didn’t appreciate Matt’s move and gave him a hard check to let him know. 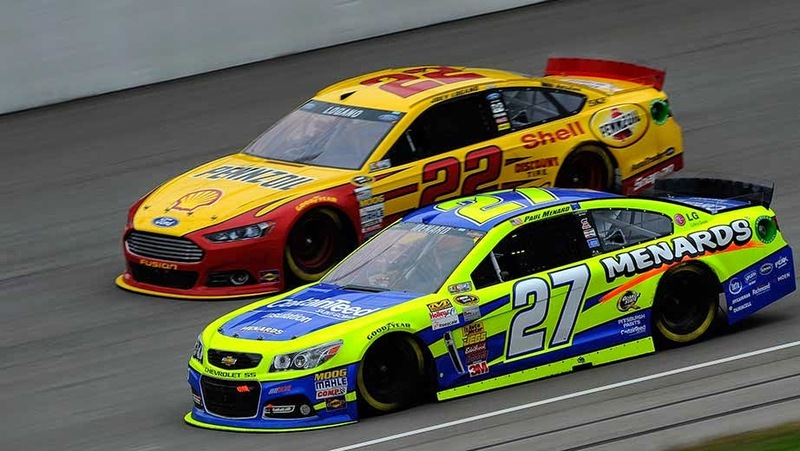 During the melee, Logano was in the opportune spot able to pass the duo with four laps to go. Gordon and Busch came up strong also getting around Kenseth and Keselowski. Kenseth ended up fifth behind Keselowski. But it didn’t end there. Keselowski still upset that he was not able to win the race, slammed on his brakes in front of Kenseth causing contact with Gordon and Earnhardt. “The extracurriculars,” Kenseth said, “pushed the confrontation over the line.“ Of course Kenseth and Keselowski weren’t the only hot tempers at the track. Mears was upset following a move the Aussie made during the race when he dove down under Mears going three wide in a corner. Mears felt that was an unwise move, and when they saw each other in the garage, they became heated with Ambrose throwing a punch resulting in a black eye for Mears. 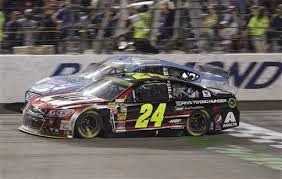 The two have talked it out since, and NASCAR is reviewing the incident. 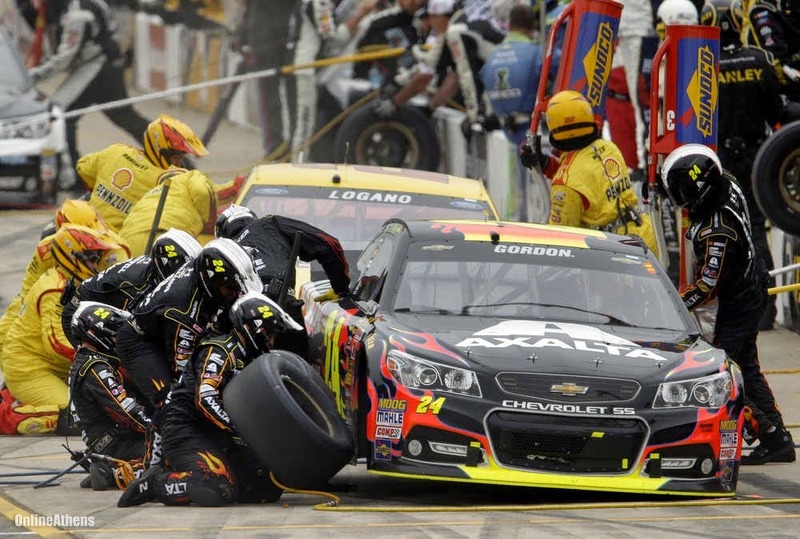 Tires were the other big topic for the weekend with several tire failures that ended in fires. 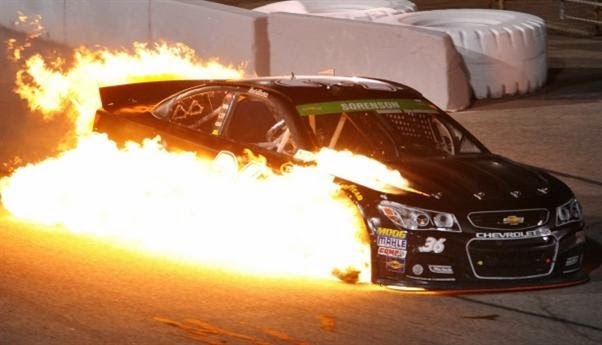 Clint Bowyer, Ricky Stenhouse, Cole Whitt, and Reed Sorenson all had their tires go up in smoke. Goodyear brought out a new multi-zone tire combination. The tire had a 10” section of a known compound, with a 2” inner section of a new, high temperature compound. It appears that the tires were coming apart, and as the treads came entangled in the wheel and suspension, caught fire from the heat of the brakes. 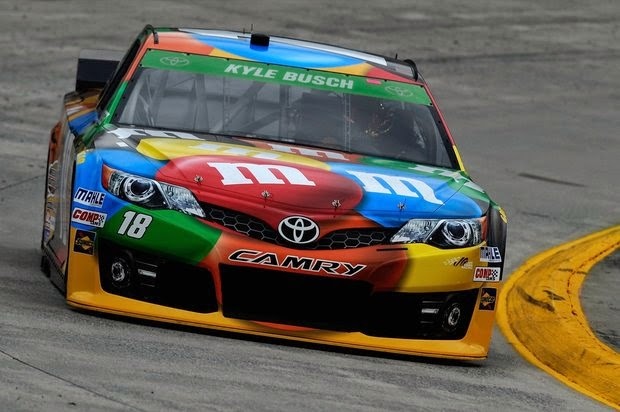 Kyle Busch commented “(It’s) really tough for all of us to, for one, keep the tires under our cars, and for putting a harder compound on the outside edge (and) having it cord and come apart, and actually it's supposed to be more durable, I think was just not the right way to go obviously for Goodyear.” Goodyear commented that the well balanced cars did not have issues. I am sure this won’t be the last we hear of this.